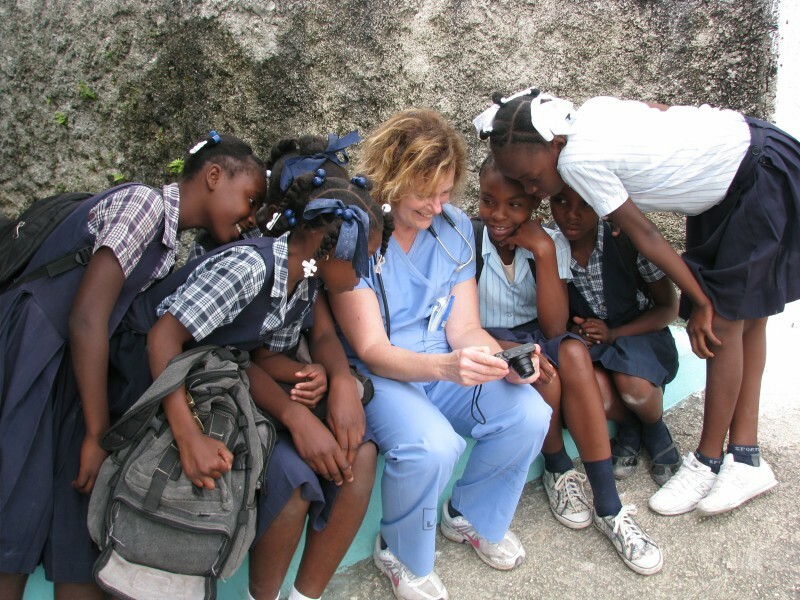 Our commitment to improving the health of the people of Thiotte, in southeast Haiti, began in 1997 with a small group of care providers led by Dr. Maureen Murphy. Since then, HMMW has made over 75 trips to Thiotte. Volunteer teams of 8 - 12 health care professionals and non-medical volunteers provide general and specialized medical care and surgery to the area's 160,000+ people. 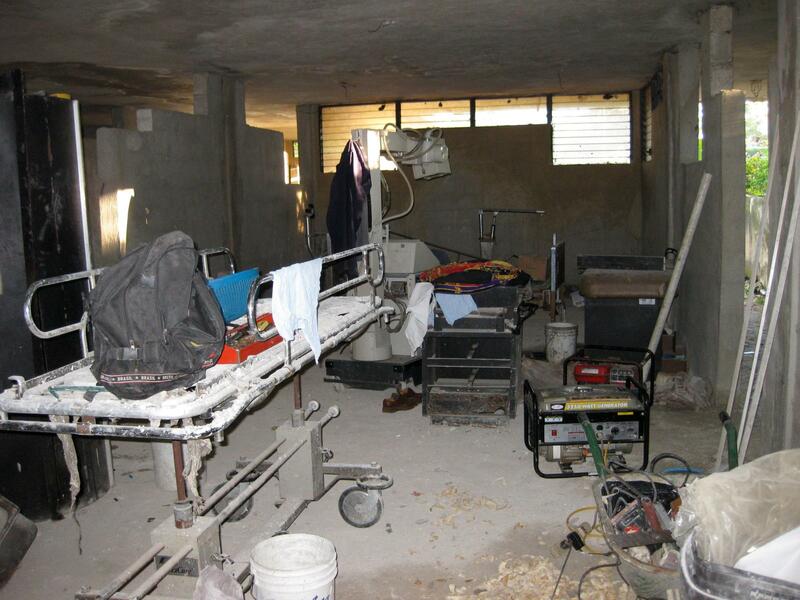 In 2001, HMMW built and furnished a medical clinic, Centre de Santé Sacré-Cœur de Thiotte (CSST), and began treating patients there in 2002. HMMW's presence in Thiotte and our ability to facilitate relationships between the local Haitian people and other US and international organizations interested in providing assistance to Haiti, has resulted in the people of Thiotte receiving considerably more assistance than our organization could have provided alone. Now, Thiotte also possesses a hospital and continuous medical care is available through Centre de Santé Sacré-Cœur de Thiotte (CSST). With support from HMMW, the clinic and hospital together currently employ a staff of approximately 18 Haitians, including: a family practice physician, nurses, community healthcare workers, a lab and eye technician, clinic administrator and support assistants. 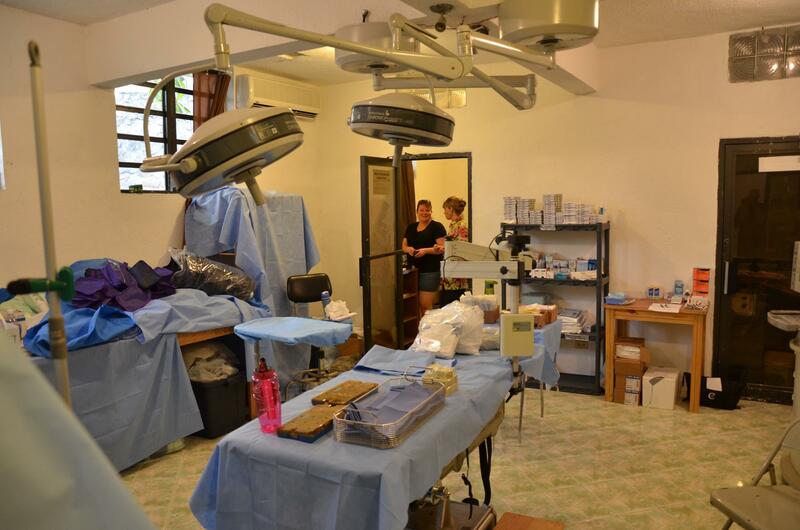 Each year we will provide care through one vision screening, lens distribution and eye surgery mission team, one dental team and two general surgery and medical teams. HMMW also contributes significant funds toward Centre de Santé Sacré-Cœur de Thiotte (CSST) lead medical staff salaries and works to facilitate relationships that contribute to CSST improving and expanding medical care for people living in and around Thiotte, in Haiti's South East Department. HMMW volunteer medical mission teams complement the fine care provided in our absence by Dr. Jean Judeson and the CSST staff. Our eye health team, partners with Dr. Reynold Monsanto, Dr. Frantz Large, and the Haitian Society of Ophthalmology to provide sight saving care.